Do you have a friend who is depressed? Are you worried that it has something to do with what they’ve experienced online? Talking to a friend can be really tricky, especially when you don’t know where to start. It’s important to know that people who often need help don’t want to talk about a problem until they’re asked about it. If you feel like something’s wrong, it’s always best to ask them just to make sure. What if they don’t want to talk? If you feel like they’re keeping their feelings inside, it might be because they are scared of talking about what’s going on. They may find it hard to talk because they think they’ll get judged, or that someone won’t understand them. Never force your friends to talk about it if they don’t want to. If they don’t want to talk, let them know you’re always there to listen; maybe they’ll change their mind eventually. In the meantime, reach out to a responsible adult – like their parents or a teacher – to keep them aware of what’s going on. Choose a time when you won’t be interrupted and a place where they’ll feel most comfortable talking to you about their problems online. Keep track of how much you listen. Most people don’t want to hear advice all the time. Sometimes it’s best to simply be there and listen to them. Talking about it can be the first step to making them feel better. Tell them what you’re worried about. 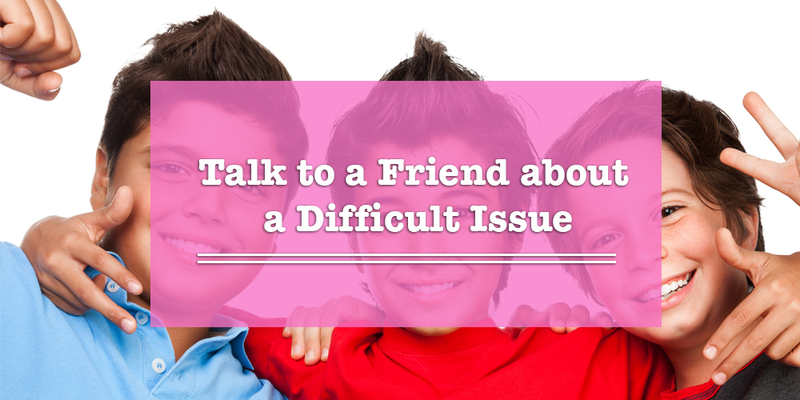 If you feel like your friend is at risk, express your concerns. Let them know you’re having a conversation because you care about them. Seek help. Even if you have promised them not to tell, if your friend’s life is in danger, talk to a responsible adult immediately… like a teacher or a parent. Support them. Your friend told you what’s bothering them, so now’s the time to continue being there for them during this rough time in their life. Report it, if necessary. You can delete posts and block people if they’re being bullied or harassed online. If you are unsure how to report something to the authorities, make sure you talk to a teacher or one of your friend’s parents so that they know what’s going on. That way, they can help report it, as well.